The euphoria of former Vice President Atiku Abubakar’s victory as the torch-bearer of the Peoples Democratic Party (PDP) has been so exhilarating for party leaders in Kogi State, as they continue to revel in the outcome. Many were so exited that they forgot their grievances over the disputed primary elections at the state level.Their belief is that if the right thing were done at the Presidency, when the party takes over reins of power again, such impunity as experienced during the primary would become a thing of the past. One of such impunities they observed was flagrant disregard for loyal party members, who have stayed with the party without decamping. At the time they indicated interest to contest elective positions, they were denied the opportunity because of a Memorandum of Understanding signed with some returnees that dumped the All Progressives Congress (APC). Their grouse is the automatic tickets given to the new comers from rAPC against members of the National Assembly, who were PDP members. 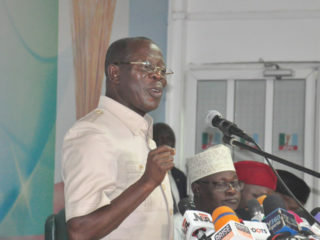 The idea emanated from agreements reached by the party’s leadership with APC.Based on that, some aggrieved party members had planned to defect en masse to teach PDP another bitter lesson. The PDP went into what the aggrieved members described as unwholesome agreement without inputs from stakeholders at state chapters. They said they advised that while there may be some justification to favour Melaye by virtue of the MOU with rAPC, the other two incumbent senatorial aspirants are PDP members, and should have been made to go to the field to test their popularity, so that whoever emerges winner will have the people’s support. They pointed out that in the case of Kogi West, even if it was Melaye they wanted, they should have still gone for primary.They said: “Melaye is sufficiently popular to win. He would have won. Unfortunately, they said they didn’t want aspirants to waste money on primaries and not have money for elections.”They also pointed at the case of Kogi East and the manner the zone’s primary was conducted, when the area has half of the population of the state. The immediate past governor of the state, Idris Wada, said: “What has happened with Atiku’s emergence is like a shot in the arm for PDP, because everything was transparent and open. So, everybody came out satisfied, having put in their best and the outcome is the best for all and sundry. Interestingly, the free and fair outcome of the Presidential primary that threw up Atiku Abubakar seems to have changed the story for aggrieved party member. They have decided to remain in the party, as everything points to a brighter outing in next February’s general election. 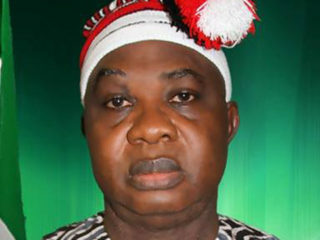 One of the aggrieved leaders, former Acting Governor of Kogi State, Chief Clarence Olafemi, who is also a member of Abubakar Atiku Presidential Contact Committee, North Central, said their focus at the moment is the Presidency.He said PDP had conducted a very transparent convention that nobody could fault. He, however, observed that it was not the same at state levels, where some impunity was recorded. Saying there was no perfect system, Olafemi explained it is important for the national election to be transparent, so that the mistake will not repeat itself.He said: “I agree that there is a lot of problems. If God makes it possible for me to be a member of the Presidential campaign, it is one of the issues we will trash. “We must find a way to pacify the aggrieved, otherwise, it could have a negative effect. People can vote against PDP, not because it is not their choice, but because they have been wounded. 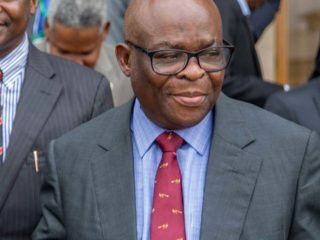 It is real and it cannot be brushed aside.He described Atiku as an independent man, who cannot be “hijacked by any cabal.” He expressed optimism that the Presidential candidate would work for the country’s overall development, irrespective of ethnic and religious considerations. 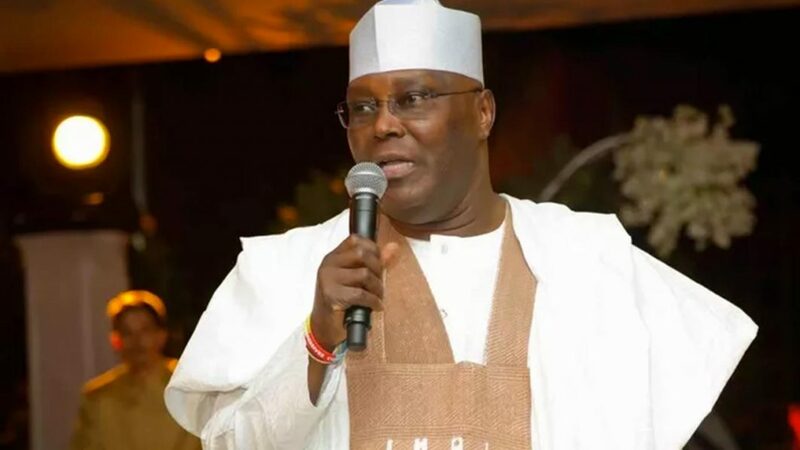 He said: “Atiku will revive the economy with his wealth of knowledge and experience in economic circles, as an astute and successful business mogul, if elected.Sunday Karimi, another aggrieved aspirant for Kogi West senatorial district, who bought the nomination and expression of interest form, but was disqualified, also said Atiku was the best bet for the party. He said: “I believe we have our best offer to the nation, and with Atiku’s experience both in governance and business, at least we are sure of a man that can move the nation forward. Buhari’s style of governance has not changed since 1985.“Buhari talks about corruption, but before you can cure corruption, all hands must be on deck. You cannot cure corruption by making it inconvenient for businesses to grow, which is what he has been doing. He is not creating jobs. It is unemployment and poverty all over the place. “But in Atiku, we have a man that can tackle Nigeria’s problems better. So, it is hope for our country and hope for our party.” He, however, said a lot of mistakes have been made in some states, concerning the party’s primaries.“For instance, if in Port Harcourt’s primary, some Presidential aspirants were disqualified for a preferred candidate, it would have been a different story. “Atiku was not even the preferred candidate of most party stakeholders. If they had done what they did to us in Kogi, whereby they disqualified all aspirants that contested in the Senate, there would have been a serious implosion. If they could organise such transparent presidential primary, why did they take that decision for a sensitive position like the Senate? They disrespected us so much in Kogi that they imposed candidates on us. They disqualified all those that went for the primaries. “That is crude and barbaric, and shouldn’t happen in this century. We thought they were going to solve the problem, but they refused.”The PDP leader from Kogi West senatorial district, who was the state’s former Deputy Governor, Yomi Awoniyi said: “Our party had been comatose for a long time. With the coming in of the new executives under the leadership of Prince Uche Secondus, the fervent thing was to re-brand the party. “But what has given fillip to what we have today is how the National Assembly moved in our favour today. What makes democracy is the Legislature, which is the National Assembly. That has sort of introduced some vibrancy in the PDP.“With the returnees, PDP now controls the National Assembly. Wisely, the party has reminded us that we must be prepared to make some uncommon sacrifices going forward, to give us a fighting chance to fare well in the elections next year. “Party faithful have been called upon to make sacrifices. Though many people have been in races for elective positions before the MOU was signed with rAPC. We now have a clear choice. A choice between cluelessness and purposefulness; between body language and actionable plan, between spin doctors and diligent actors, between keeping silent and taking charge, between the rule of law and the rule of a cabal.”He said the outcome of the Presidential primary is proof that God has not forsaken Nigeria.“We all now need to keep our hands on the plough and change the narrative,” he said.